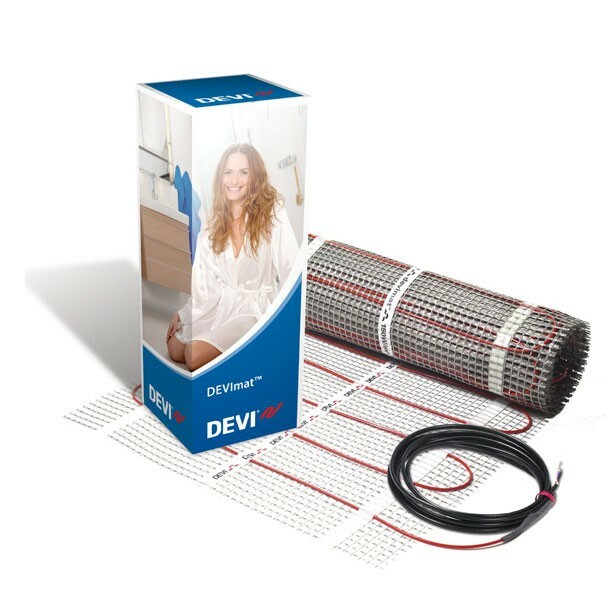 The DEVIcomfort™ heating mat is a strong self-adhesive all-in-one mat which ensures a quick and easy installation directly on the existing floor. The low installation height is perfect for renovations. The DEVIcomfort™ may be covered with a self-levelling floor screed onto which the top floor can be laid in the usual way. The DEVIcomfort™ system consists of a thin twin conductor electric heating cable only 4 mm thick attached to an open weave fibreglass mesh, self-adhesive on the entire surface of the mat. To control your underfloor heating you'll need to choose from our wide range of electric floor thermostats. Keep it retro with a dial stat or go ultra-modern and control your heating from your smartphone.